The Capital One® QuicksilverOne® Cash Rewards Credit Card allows cardholders with average to limited credit to, with responsible use, build their score while simultaneously enjoying perks (and cash back!) usually reserved for upper-echelon cash-back credit cards. Its mainstay is 1.5 percent flat-rate cash back on all purchases with other amenities. an array of tools to keep an eye on your credit and Platinum Mastercard® benefits like extended warranty protection, price protection and travel accident insurance. With only a small annual fee of $39 and no rotating categories, the QuicksilverOne® offers one of the simplest cash- back programs out there and it's still an option even if your credit is less than excellent. A straight and to-the-point rewards structure that leaves no two ways about when and where you can earn 1.5 percent cash back on every purchase. With Credit Steps, you can gain access to a higher credit line after making your first several payments on time. Paying for items with your Capital One card gets you additional warranty protection at no charge. A variety of ways to stay on top of your account, from personalized payment methods to scheduling email and text alerts. A simple rewards structure gives cardholders the chance to earn unlimited 1.5% cash back on every purchase with no rotating categories, spending tiers or caps to worry about. Allows those with less-than-stellar credit to get in the cash-back game. With no foreign transaction fees, this is a decent choice if you plan to travel abroad. While the annual fee isn't high, it is something to consider. 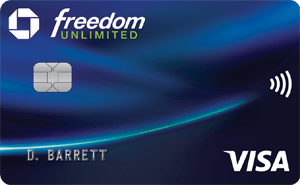 It's possible you could qualify for better rewards with a no-annual-fee card, like Chase Freedom Unlimited®. Many cash-back credit cards come with annual fees and interest rates much higher than their no-frills, no cash back cousins, not to mention are reserved for people with good to excellent credit. Capital One® QuicksilverOne® Cash Rewards Credit Card, on the other hand, features a reasonable $39 annual fee, much less than many "plain vanilla" credit cards for average credit. And, as an added bonus, the Capital One® QuicksilverOne® Cash Rewards Credit Card won't charge you a foreign transaction fee on purchases made outside of the U.S., so this card makes a great travel companion if you occasionally visit overseas destinations. When it comes to rewards, you can redeem your reward cash for a statement credit with no minimum redemption required and no redemption fee. That's a big deal when a few extra dollars will make a difference in your monthly budget. If you're likely to forget about your cash-back rewards, you can put your rewards redemption on autopilot. Just request automatic statement credits whenever your cash-back rewards balance hits $25 (or whatever dollar amount feels best for you). While you do get 1.5 percent cash back with a card for average credit users, there are issuers who offer cards with more competitive cash-back deals for applicants whose credit is in excellent or good standing. If that's you, you can likely find higher cash-back rewards with a different card. Also depending on whether you are going into this card with the mindset geared more toward building your credit or trying to reap a few dollars back, it wouldn't hurt to consider secured or prepaid credit cards that are designated primarily for building your credit. There is also a $39 annual fee attached to the card. While you could earn some of the annual fee back with that 1.5 percent cash back, the cash back is not nearly enough of an equalizer if you’re planning to carry a balance. A card with an introductory APR offer – or at least a lower ongoing APR – could be a better fit if that is the case for you. If you have good to excellent credit, the Wells Fargo Cash Wise Visa® Card also sports a flat rate of 1.5 percent cash back on all purchases, but is available without an annual fee. Furthermore, new cardmembers can earn 1.8 percent cash back for the first year when you pay using your mobile wallet app via Android or iOS. The Wells Fargo Cash Wise Visa® Card also has a 0% intro APR for 12 months on purchases and balance transfers (fees apply), which then goes to a 16.24%-28.24% Variable APR; balance transfers made within 120 days qualify for the intro rate and fee. The Wells Fargo Cash Wise Visa® Card does feature a few nifty ways of redeeming your cash back - into a checking/savings account, as statement credit or directly from a Wells Fargo ATM, for instance. In the end, the decision could come down to your credit history and whether you'll qualify for a card requiring good to excellent credit or if you are in the position of needing a card for average or limited credit. The Capital One® Secured Mastercard® does not offer any kind of cash back like the Capital One® QuicksilverOne® Cash Rewards Credit Card®'s 1.5 percent, but that's to be expected since it is a secured card after all and aimed at helping you build your credit. So let's examine these two cards from that lens. The Capital One® Secured Mastercard® does not carry an annual fee like the Capital One® QuicksilverOne® Cash Rewards Credit Card®'s $39 tag. With the Capital One® Secured Mastercard®, your initial credit line will be $200 and your required deposit will be $49, $99 or $200 depending on your creditworthiness. You can increase your initial credit line by depositing more money before your account opens. You can also receive access to a higher credit line by making your first five monthly payments on time, which is also true with the Capital One® QuicksilverOne® Cash Rewards Credit Card®.. Still, without a cash-back program in place, you won't be earning anything back on your purchases. Generally, if you're able to qualify for a non-secured credit card, like the Capital One® QuicksilverOne® Cash Rewards Credit Card®, it's likely a better option than a secured card, even with that minor annual fee. The Credit One Bank® Unsecured Platinum Visa® is an unsecured credit card and as its name suggests, a credit-building card that doesn't require you to put down a deposit. 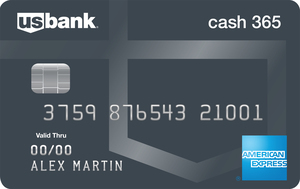 The card, like the Capital One® QuicksilverOne® Cash Rewards Credit Card®, also offers a cash-back opportunity; in this case, 1 percent so it's slightly lower compared to the Capital One® QuicksilverOne® Cash Rewards Credit Card®'s 1.5 percent. You should be wary of both cards, however, if you plan on carrying a balance. Neither the Capital One® QuicksilverOne® Cash Rewards Credit Card nor the Credit One Bank® Unsecured Platinum Visa® offer an introductory 0-percent APR period, but the Credit One Bank® Unsecured Platinum Visa® charges a lower ongoing APR. The Credit One Bank® Visa®'s annual fee structure is dependent on your creditworthiness, anywhere from $0-99. While there is a possibility it can be lower than the $39 annual fee of the QuicksilverOne®, the fact that it's not consistent really forces you to stay on top of the fee as opposed to knowing exactly how much you'll be paying with the QuicksilverOne®. The Capital One® QuicksilverOne® Cash Rewards Credit Card can either be a great standalone card with its 1.5 percent cash back and unique issuer and Platinum Mastercard® benefits or a credit-building card to get you started in the right direction, i.e. as a segue into higher-tier credit cards with greater rewards. Maybe for you, it's both! For average credit card users the QuicksilverOne® comes off as a steal because of its dual nature of offering you something back in your pocket as well as opportunities for your credit to climb the ladder as long as you use the card responsibly. If you can find the perfect balance between spending responsibly and utilizing the credit preserving tools the QuicksilverOne® has in store, could be a solid card choice for you.